As energy prices continue to rise, we all look for ways to save money. For a typical household, your boiler can account for more than 60% of your total energy bills. Any savings you can make here will have a great affect on your family finances. 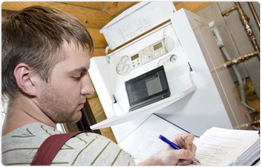 Speaking with a boiler installation London will help you understand all of the options available to you. They will analyse your current energy use and will provide you with help and advice on the best ways to make savings. Some of these will be simple solutions such as reducing the thermostat settings on all your home’s radiators and fitting thermostats if you don’t already have them. More comprehensive suggestions could include replacing your boiler for a modern more efficient model. This may seem dramatic, but if your boiler is more than 10- years old it’s approaching the end of its life. If it’s more than 15-years old, then you’re probably lucky it’s still working at all. More importantly boilers of this age will be a ‘conventional’ boiler, this type of boiler wastes heat as part of its exhaust gas; even the best versions only had 60% efficiency when they were new. Now they’re getting old the efficiency will be much less. In other words for every £1 you spend on fuel at least £0.40 is doing straight up the flue! In comparison a modern ‘condensing’ boiler has an efficiency of more than 90%. By moving to this type of boiler you could save up to £300 every year in lower energy bills. VHC Plumbing and Heating is the boiler installation expert in the London area. Our advisers can help you pinpoint areas that will help you use less energy and spend less money. If you need your boiler replacing we can handle the whole installation and if your boiler is fine we will show you how to use it to its maximum efficiently. So start saving money today, call VHC Plumbing and Heating for unbiased advice on reducing your energy bills.